Not to be confused with other, legit "MetaMeds". “”I decided to ignore Michael after our first in-person conversation, where he said I shouldn't praise the Swiss healthcare system which I have lots of experience with, because MetaMed is the only working healthcare system in the world (and a roomful of rationalists nodded along to that, suggesting that I bet money against him or something). MetaMed was a medical consultancy started by Michael Vassar (now Michael Arc), a LessWronger and former President of the Singularity Institute, on the basis that superior rationality skills as taught by Eliezer Yudkowsky would make them obviously better at medical research than mere medical school and applicable scientific experience could. It was founded in 2012, started operations in 2013 and went broke by 2015, because it turned out rich hypochondriacs weren't dumb enough. MetaMed was an instructive example on the value of experience and knowledge versus assuming one's own general brilliance and reasoning from first principles — and why people who think they're too smart to bother acquiring actual domain knowledge are potentially dangerous idiots. They seriously believed that LessWrong training was all you needed to out-doctor doctors reliably enough to base a business on it. Medically speaking, its rapid failure was probably the least worst outcome, and it didn't have time to rack up a body count. The key thought everyone involved seemed to have was: "everything I don't know the tedious details of is simple because I am smart and radical in my thinking and know the One Weird Trick™!" Perhaps you are and do! But it's overwhelmingly likely you aren't and don't. 3.3 "Deaths caused by medicine itself total 225,000 per year in the US"
"Imagine there is a set of skills," he said. "There is a myth that they are possessed by the whole population, and there is a cynical myth that they're possessed by 10 percent of the population. They've actually been wiped out in all but about one person in three thousand." It is important, Vassar said, that his people, "the fragments of the world," lead the way during "the fairly predictable, fairly total cultural transition that will predictably take place between 2020 and 2035 or so." Yudkowsky helped market it to LessWrongers. He was a big fan, as they had helped him resolve his sleep disorder. Vassar got together with Jaan Tallinn (a programmer, who had previously made it big with Skype and Kazaa, and started reading LessWrong in 2009 when sidelined by a lawsuit between Skype and eBay) and Zvi Mowshowitz (previously a professional Magic: The Gathering player, who is also worried about Roko's basilisk). They also scored $500,000 in venture funding from Peter Thiel. Vassar had left to found MetaMed, a personalized-medicine company, with Jaan Tallinn of Skype and Kazaa, $500,000 from Peter Thiel, and a staff that included young rationalists who had cut their teeth arguing on Yudkowsky's website. The idea behind MetaMed was to apply rationality to medicine — "rationality" here defined as the ability to properly research, weight, and synthesize the flawed medical information that exists in the world. Prices ranged from $25,000 for a literature review to a few hundred thousand for a personalized study. "We can save lots and lots and lots of lives," Vassar said (if mostly moneyed ones at first). "But it's the signal — it's the 'Hey! Reason works!' — that matters. It's not really about medicine." Our whole society was sick — root, branch, and memeplex — and rationality was the only cure. At its core, MetaMed tries to offer a second opinion that's more nuanced and more thoroughly researched than those of most general practitioners. When a patient contacts the company and provides information about his or her illness, staffers enter the data into an analysis and collaboration system that enlists a team of consultants from a growing 40-person network. In addition to physicians and medical specialists, there are chemists, molecular biologists, data scientists, librarians, and others—some of these experts are salaried, some are paid per consult. Researchers drawn from Google and top universities compare the patient's case with the latest scientific studies, medical journals, and health data, seek out the procedures and hospitals that offer them the best chance at recovery, and give patients a wider look at their treatment options than a physician might provide. 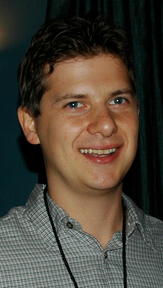 Jaan Tallinn, one of the chief engineers behind Skype, is the company's chairman. "Our attitude is that medicine would be better if it were more of a science than an art," Vassar says. Health Researcher: Justin Alderis is an Eagle Scout who co-chaired the Princeton Philosophical Society for four years while he earned his BS degree from Princeton University, with a focus on the philosophy underlying cognitive science. Their doctors would review the reports first, at least. Clients provide personal data—medical records, blood workups, genetic profiles—via e-mail, then undergo a one-to-four-hour intake interview with a MetaMed doctor via Skype. After a few weeks, MetaMed's analysts deliver a report based on their analyses of the primary and secondary literature. It might suggest obscure specialists, or point out risks associated with an unusual combination of genetic factors, or warn against rarely detected interactions in whatever cocktail of medications the client has accumulated. Sometimes it will note that all of the studies suggesting a particular drug were funded by that drug's manufacturer. For bigger spenders, the analysts might offer to construct a statistically complex "Bayesian mathematical assessment of diagnosis," or even conduct an original experiment—for $50,000, Vassar says, MetaMed could design a study particular to an individual patient's physiology, which might then cost an additional few million dollars to carry out. When asked about what makes a good doctor, he said it's those who feel that their residency forced them to "violate" the principles they learned in medical school. They also aimed to aid doctors with advanced artificial intelligence and data from information experts. This, despite Vassar's complete lack of experience in any real-world AI development — only in talking about the risk of AI dooming humanity. Scott Alexander worked for them early on (he's a doctor by day) and was very excited about the possibilities the MetaMod model offered. At least one of the doctors involved, Hank Garstein, turned out to have been struck off for writing online pharmacy prescriptions. They did fire him quickly once others had pointed it out. Despite touting their superior Bayesian statistics and research skills, their main promotional page "Vital Facts and Statistics", a collection of scary claims about the failings of the medical field in general, had a number of problems. One of them was a lack of hyperlinks, despite it being a web page and many of the cited references being online. One million children every year have had unnecessary CT scans, which risks exposing them to radiation levels up to those experienced by survivors of Hiroshima and Nagasaki. Most of the quantitative information that we have regarding the risks of radiation-induced cancer comes from studies of survivors of the atomic bombs dropped on Japan in 1945. Data from cohorts of these survivors are generally used as the basis for predicting radiation-related risks in a population because the cohorts are large and have been intensively studied over a period of many decades, they were not selected for disease, all age groups are covered, and a substantial subcohort of about 25,000 survivors received radiation doses similar to those of concern here — that is, less than 50 mSv. That is, it is not a warning that a CT scan exposes you to atomic bomb radiation levels — but is a passing note that some atomic bomb survivors got doses as low as a CT scan (this is almost a certainty since radiation exposure decreases with approximately distance-squared from the source). Giving someone excessive CT scans can in fact cause cancer, and this is a risk actual CT operators know all about and keep careful track of, where the risk from the X-rays is balanced against the risk of not having the test done; but the comparison to Hiroshima and Nagasaki is purely for radiophobic scaremongering. One should note that lifespan studies — performed regularly since the 1950s onwards on the survivors of the aforementioned atomic bombings — actually fail to show an increase in cancer rates, even at radiation levels greatly surpassing that of the low-exposure survivors which MetaMed invoke for their flawed comparison to CT scans. As many as 98,000 people die in hospitals each year as a result of medical errors. Two large studies, one conducted in Colorado and Utah and the other in New York, found that adverse events occurred in 2.9 and 3.7 percent of hospitalizations, respectively. In Colorado and Utah hospitals, 6.6 percent of adverse events led to death, as compared with 13.6 percent in New York hospitals. In both of these studies, over half of these adverse events resulted from medical errors and could have been prevented. When extrapolated to the over 33.6 million admissions to U.S. hospitals in 1997, the results of the study in Colorado and Utah imply that at least 44,000 Americans die each year as a result of medical errors. The results of the New York Study suggest the number may be as high as 98,000. That is: from two single studies, we see 0.2% errors leading to deaths in Colorado and Utah, 0.8% in New York, which could have been halved with more attention. That's potentially important, but it's not clear how medical amateurs doing their own research could be applicable to this problem. Not to mention hyping the larger number. In fact, the original studies cited did not define preventable adverse events, and the reliability of subjective judgments about preventability was not formally assessed. The committee's estimate of the number of preventable deaths due to medical errors is least substantiated. The methods used to estimate the upper bound of the estimate (98,000 preventable deaths) were highly subjective, and their reliability and reproducibility are unknown, as are the methods used to estimate the lower bound (44,000 deaths). The 2001 American College of Clinical Pharmacology response to the report, particularly the bogus nature of the 44,000-98,000 claim. Surely MetaMed's research skills had found these as well, and surely people who literally bragged about their "statistical literacy" would have spotted these problems in the material they were citing. "Deaths caused by medicine itself total 225,000 per year in the US"
The first cite is not to a scientific finding, but to an article in a law journal, which is actually a lecture transcript, the text of which at no point backs a claim of "225,000." The second cite is to a JAMA article on "Defensive medicine among high-risk specialist physicians in a volatile malpractice environment", but does not at any point contain the claimed numbers. By about April 2015, MetaMed had gone to its richly deserved fate, because its original idea (LessWrong rationalists are automatically smarter than domain experts!) was stupid, and its pivoted idea (concierge medicine to the rich worried well!) didn't have much of a market. Tallinn attributed MetaMed's failure to the difficulty of producing research results — they were actually surprised when medical research turned out to be harder than they'd thought — and the limited interest from consumers. Of course, he was still all about fixing medicine with One Weird Trick™ — the horrifyingly dysfunctional US health care system apparently being the only example he could think of in the world. Michael Vassar speculates that this has overtaken giant sections of the economy, and that many or even most products and services are symbolic representations of themselves first and the product or service itself second or not at all. I certainly find examples of this all around me. This last week, my wife and I went on vacation to a place that charges quite a bit of money for things that I see no value in, but which she enjoys greatly, and I believe that what she enjoys is that it symbolically says "Vacation" to her. I see the actual thing, and so I do not get it. This raises the question of how they understood marketing, where the job is literally to promote the sizzle in order to shift the sausages. MetaMed VP of research Sarah Constantin details that they were really quite bad at this, with a list of mistakes that are actually not unusual for failed startups; she considers they could have had a viable business had they made less retrospectively-obvious errors. Of course, they spent early 2015 stiffing people. Michael Vassar started another company, BayesCraft. That's "Bayes" in the special sense of "talks transhumanist bafflegab but doesn't seem to understand actual statistics." that has "Bayes" in the name. From this, we can presume that Vassar really does want to make a difference in medicine in particular, and considers his LessWrong-trained rationalist skills ideally suited to the task, without all that tedious mucking about with training as a doctor, scientist, or both. It is quite possible he will attain fame for this — though the Bayesian likelihood from prior probabilities is that it will be the sort of fame that results in FDA warning letters, and writeups in Respectful Insolence, Science-Based Medicine, Edzard Ernst's blog, Quackwatch and RationalWiki. ↑ Quoted at ; original archived, view source to see quote. ↑ Brenner, D. J., and E. J. Hall. 2007. "Computed tomography — An increasing source of radiation exposure." N. Engl. J. Med. 357:2277– 2284. ↑ American College of Clinical Pharmacology Response to the Institute of Medicine Report "To Err Is Human: Building a Safer Health System"
↑ Faigman, D. L. 1999. "Legal Alchemy: The Use and Misuse of Science in the Law." New York: W. H. Freeman.